Freudenberg is a town in the Siegen-Wittgenstein district, in North Rhine-Westphalia, Germany. The town lies on the German-Dutch holiday road called the Orange Route, joining towns, cities and regions associated with the House of Orange. 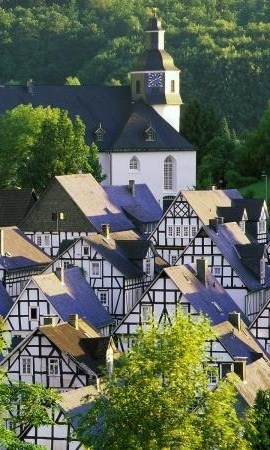 Freudenberg lies in hilly uplands between 243 and 505 m above sea level. The 17 constituent communities share roughly 55 km², of which two thirds is made up of broadleaf and spruce forest.